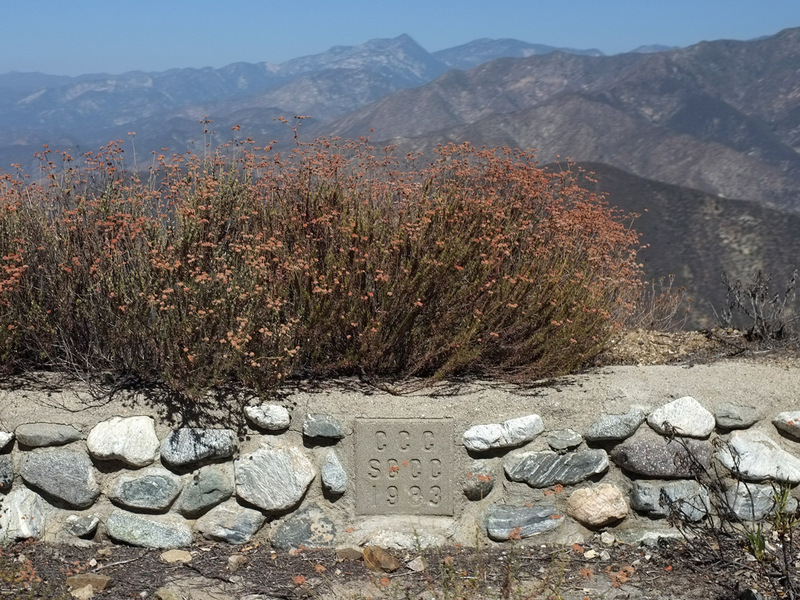 GMR…I’ll never get you and that’s okay. 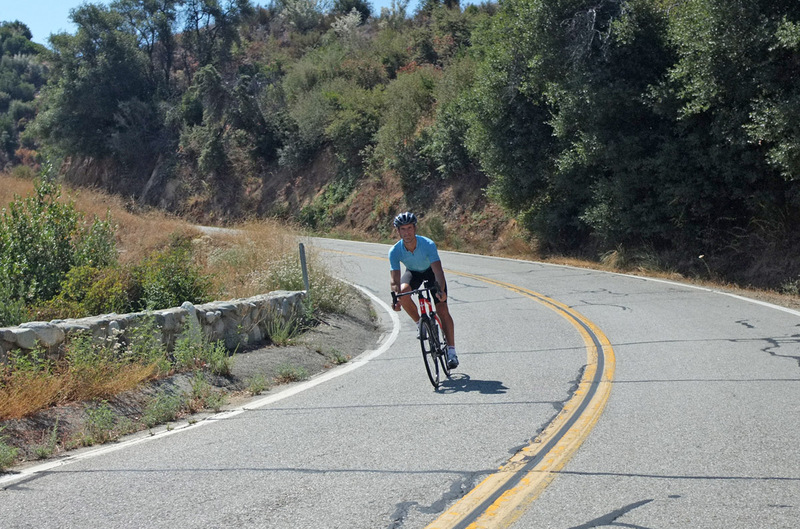 While I have enough respect to place Glendora Mountain Road in my top ten most essential climbs in the area, it’s still a road that carries a lot of mystery. 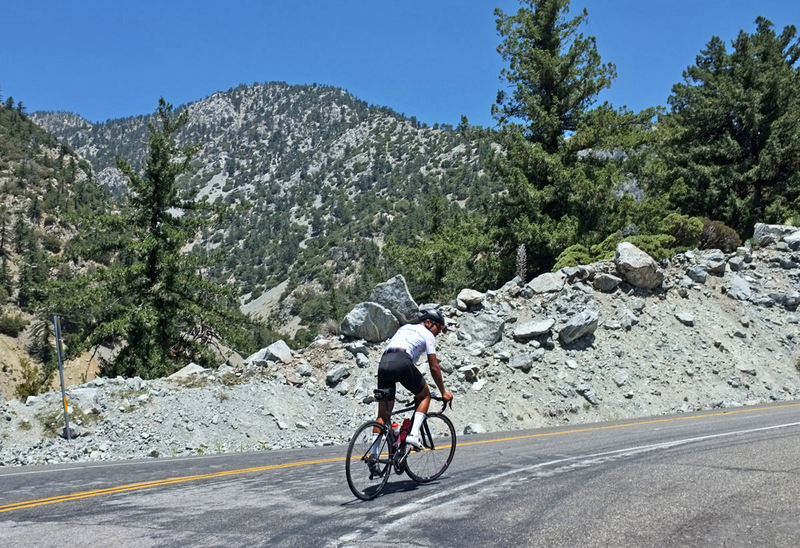 Depending on the time of day, what season or weather conditions, there’s no road that feels more different from ride to ride than this. 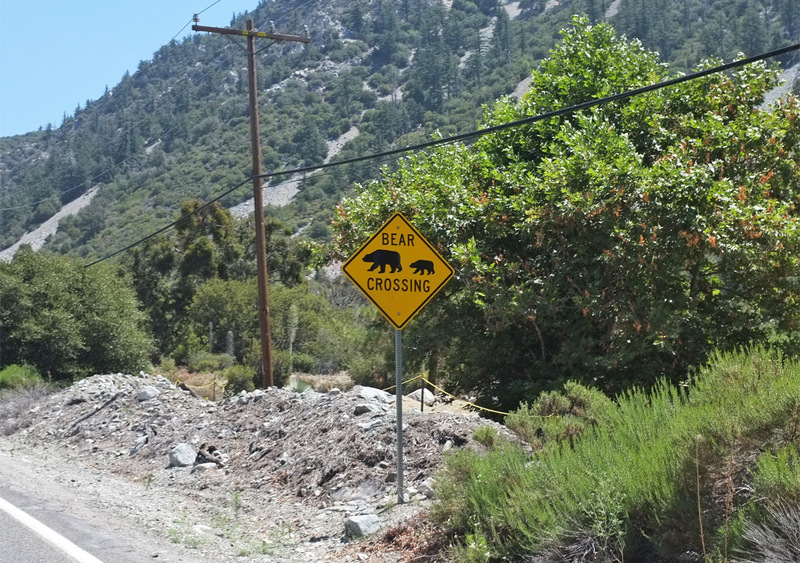 Sometimes it feels very steep. Others, you’re going so fast you don’t recognize the landscape. 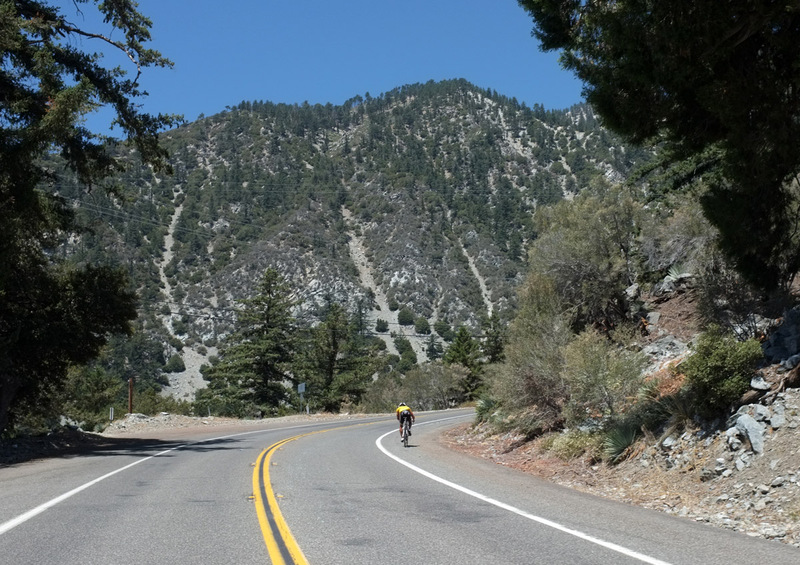 The first climb is always apparent, but from there, my memory is mostly blurry in terms of profile until the descent into Baldy Village. 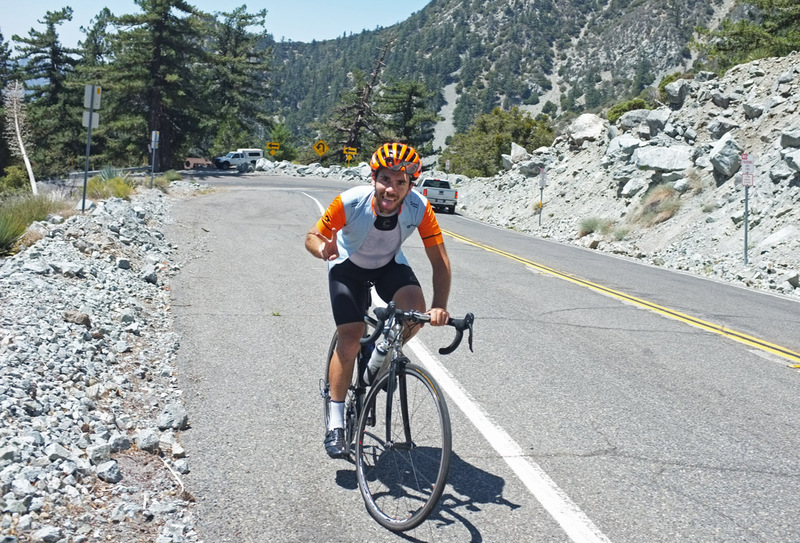 Last week, I took a dip through the hills with Manny and Zack (what a great name) to ride GMR temperatures be damned. I also feel, like if you’re making it all the way out there, you have to climb Mt. Baldy. 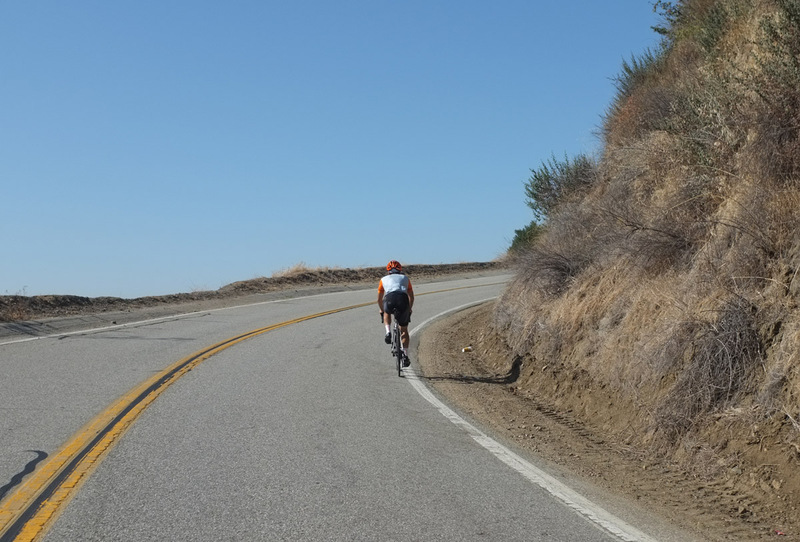 It’s sometimes hard to accept two great rides are connected together, but that’s one of the reason LA is so special. 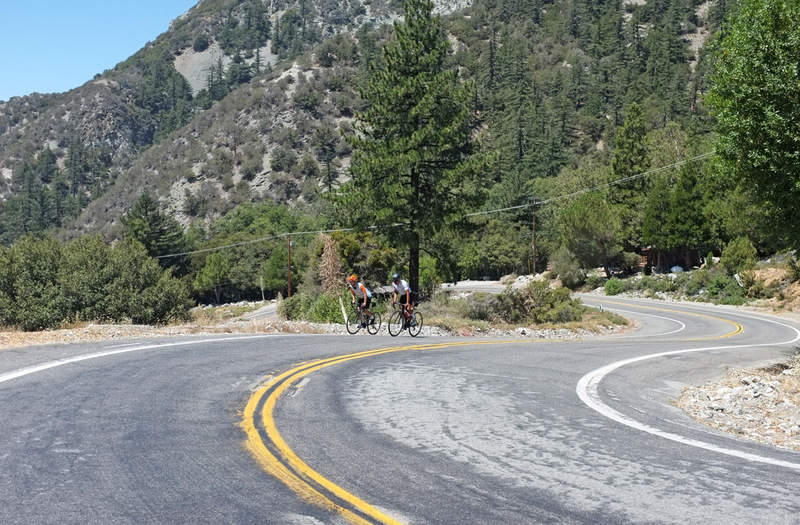 Rolling out with Manny & Zack..
We saw a good number of cyclists coming down smarter than us for beating the heat! 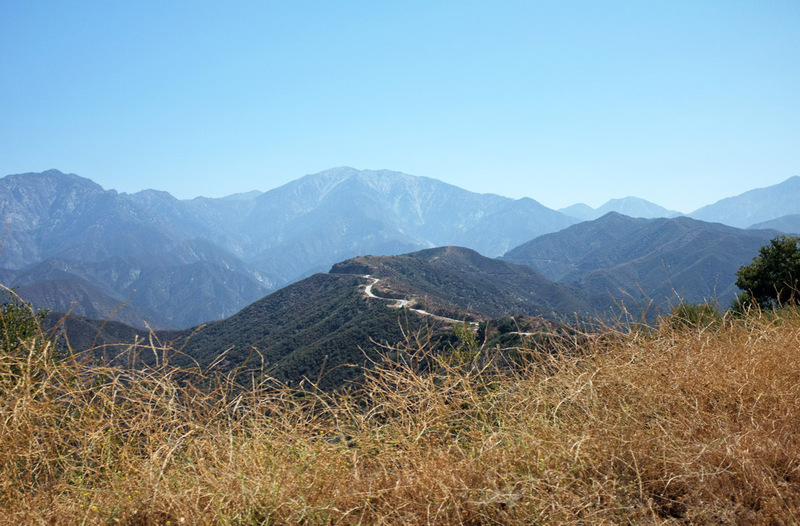 This doesn’t seem like a view reserved for early in the ride, but GMR likes to get you up in a hurry. Maybe the grade doesn’t change much, but soon you get ideas where you’re sorta heading with the big picture. 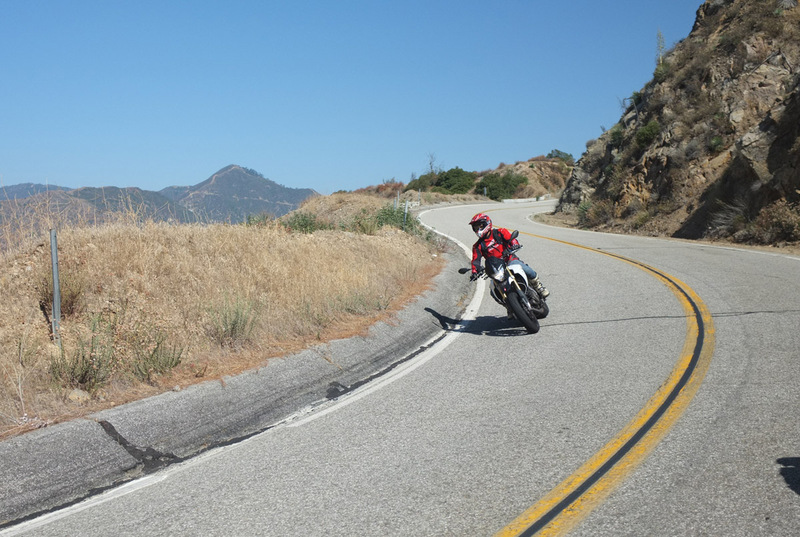 GMR is also popular with the motorcycle enthusiasts…. 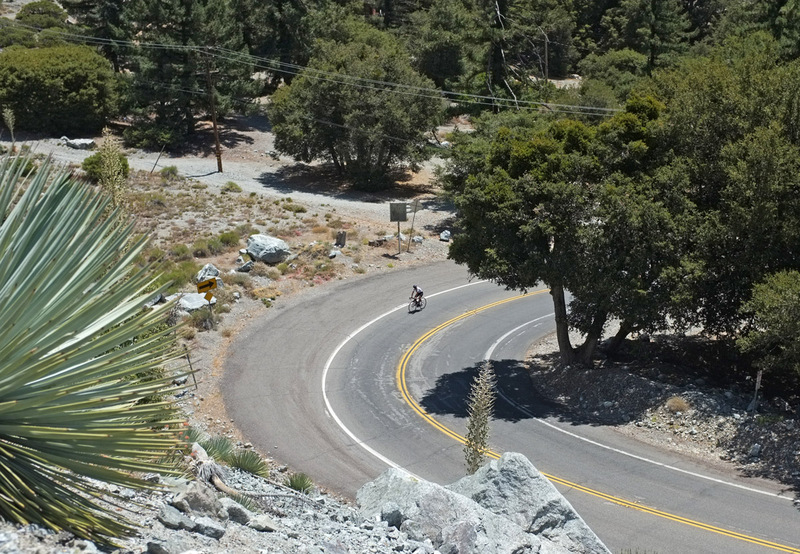 …but there are times where bikes can keep up. 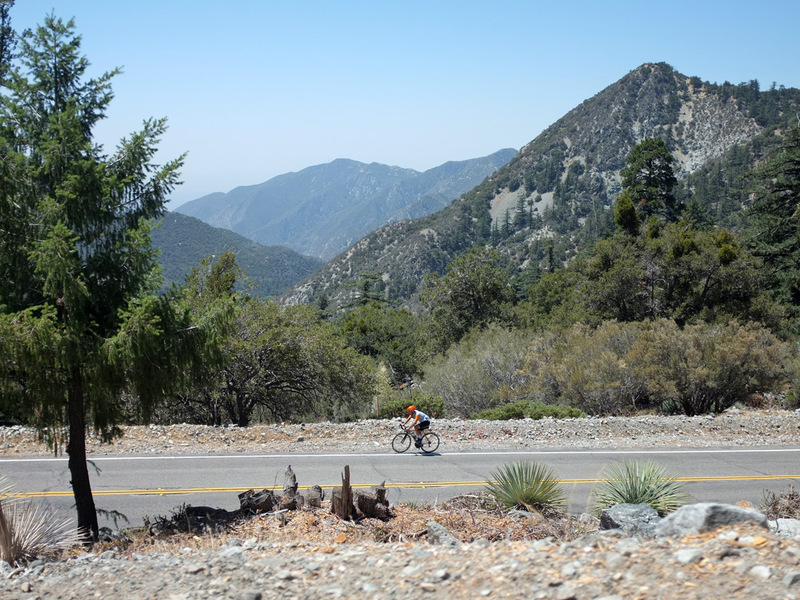 As you start getting your first relief from your climbing, you get one of the best panoramic views of the San Gabriel Mountains, including Baldy, Baden-Powell & Wilson. 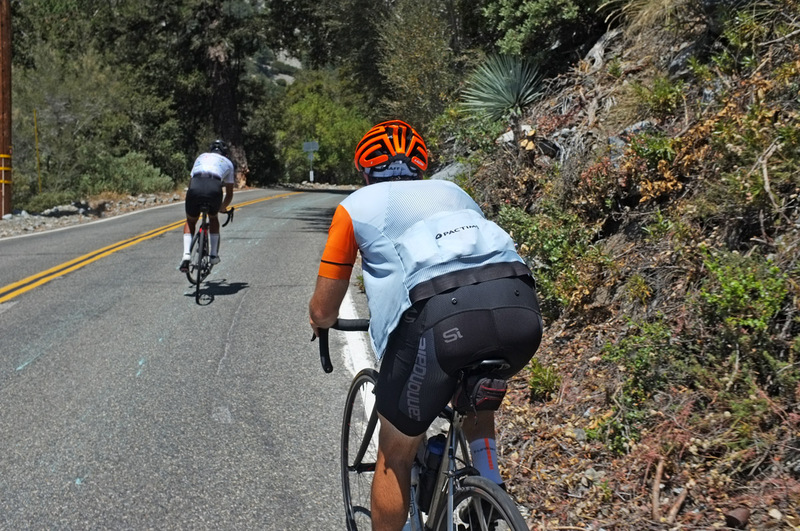 In this edition of this is how we roll: rollers! Descending down to Mt. 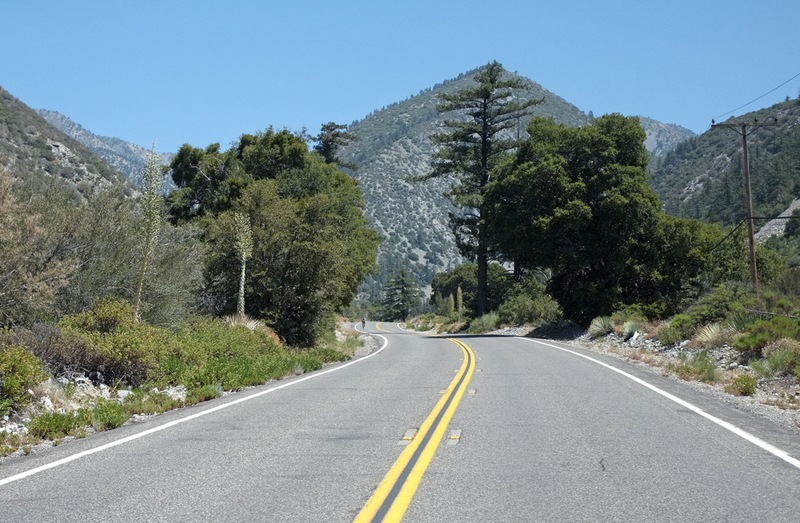 Baldy Road gives you a little pause because you know these 40 mph speeds are going to be short lived. Zack taking a quick little break here at Mt. 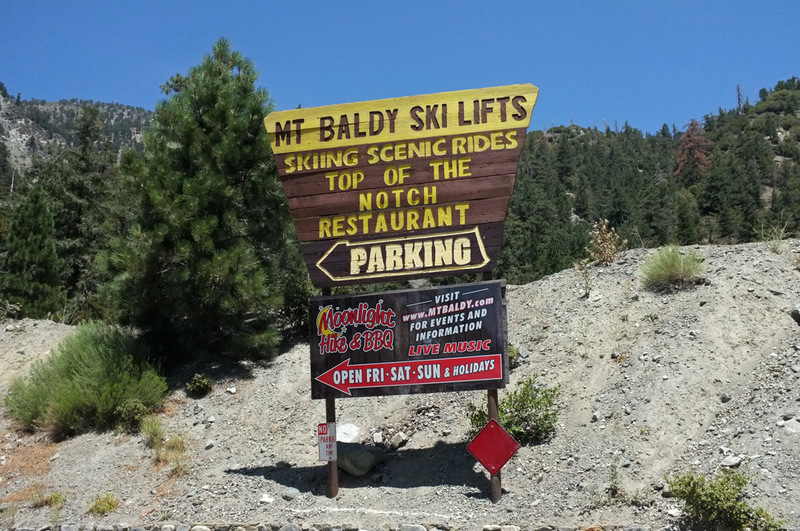 Baldy Lodge. Pro tip: stop by and use the water dispenser on the left. 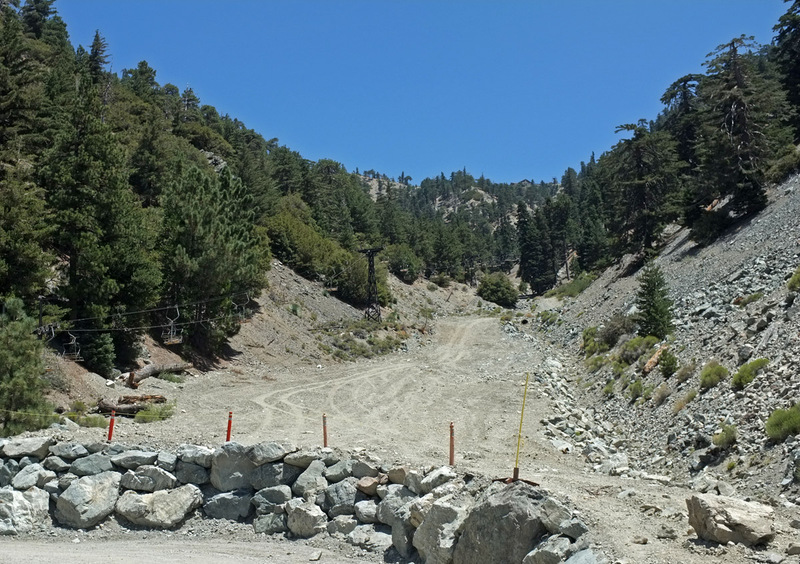 Even though the steeper parts await, the initial part of the climb to the ski lifts makes you feel like you’re going backwards at times. 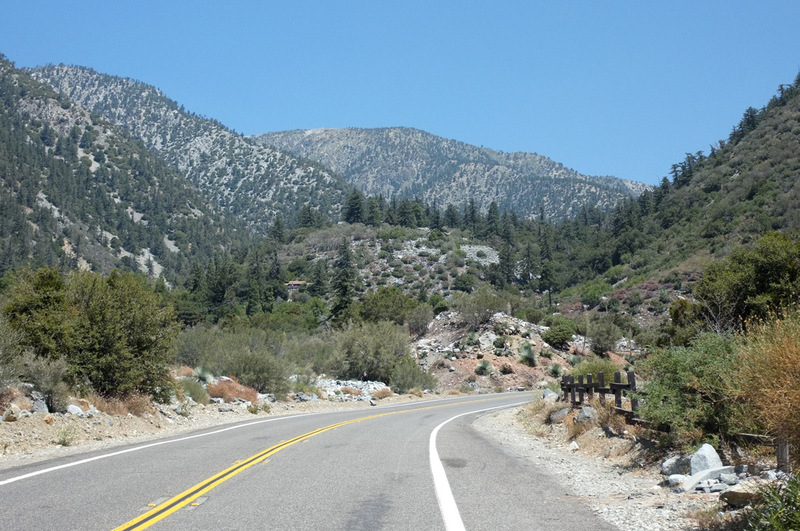 Every time I do this ride, it’s hard to imagine the switchbacks are there right in front of me! 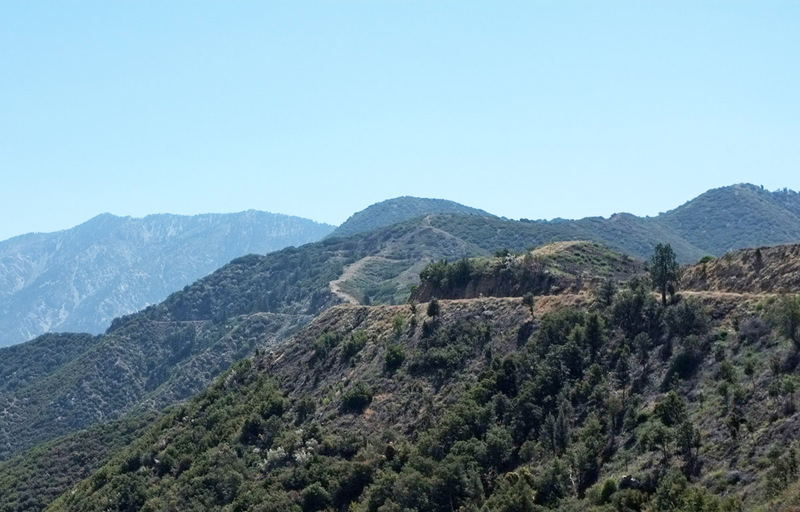 One last look before the tough part, you can also we the tail of GMR making its way into Baldy Village. Unzipping your jersey is fine move at this point. Kinda a nice moment to see..even if the guy is struggling. 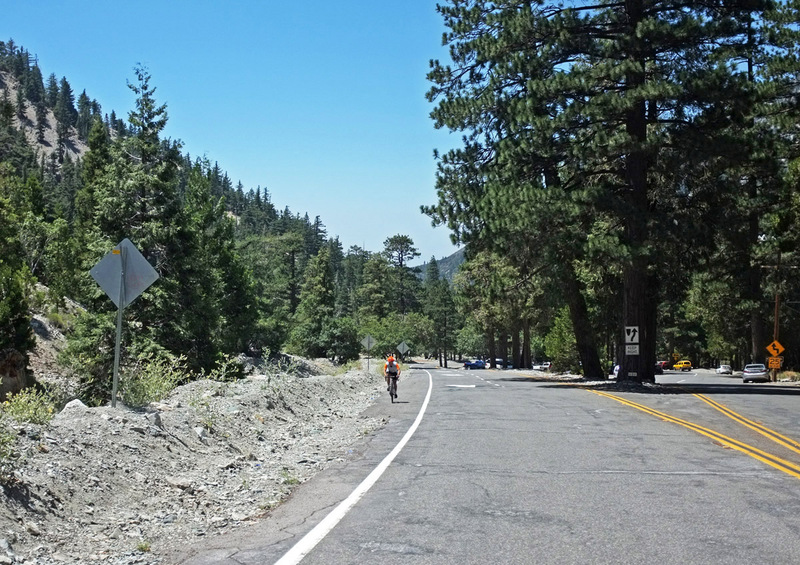 The last part of Baldy is the worst because it is long, steep and unrelenting. And long. Longer ski lifts would solve a lot of problems for people.